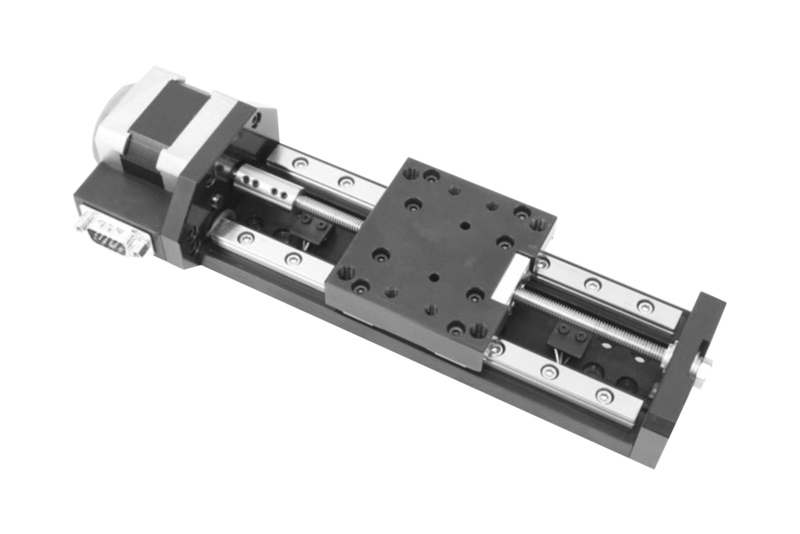 The series 3750 linear positioning stage is a compact design with miniature rail bearings, C7 accuracy 1mm pitch ground leadscrew with anti-backlash nut and is available in travels from 25mm to 150mm. The series 3750 stage offers a compact solution to many positioning requirements. Normally fitted with a 17 frame size stepper motor, it is also possible to specify small servo motors with encoders, offering a wide range of solutions depending on the application. Integral mechanical limit switches are common to all models and connections are made by way of a 15Way high density DType connector.